Sarah has two main areas of expertise, Employment and Family Law. This dual specialism gives her strong, versatile advocacy and negotiation skills as well as the ability to work effectively with clients across the range from public authorities and corporations to individual claimants. Sarah is experienced in all aspects of Employment law acting for both Claimants and Respondents before the Employment Tribunals, Civil Courts and EAT. Her practice also encompasses Public Law and Judicial Review. She has advised Public Bodies regarding their statutory equality duties. Sarah is an expert family practitioner dealing in all areas of private and public law representing Parents, Guardians and Local Authorities. Sarah regularly acts in private law contact and residence disputes, particularly those that involve serious allegations of violence or abuse and require findings of fact. She is frequently instructed in public law care proceedings involving allegations of physical and sexual abuse, forensic and medical evidence and perpetrator hearings. Her immigration expertise is a great benefit in cases with an international aspect. 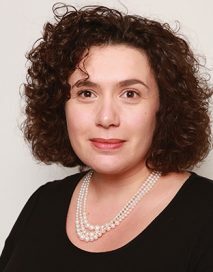 A member of Bar Council Equality & Diversity Committee since 2007, Sarah regularly advises the Bar Council and the BSB as to law, policy and best practice.